Set the stator diameter in the touch screen then select the pre-set data. 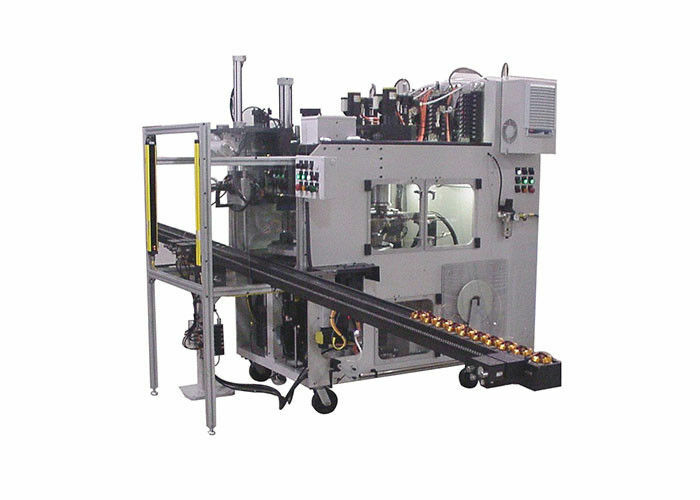 Machine will automatically do coil inserting. The products are mainly applied in new energy automobile motor, servo motor, generator, three-phase motor, pump motor, compressor motor, household appliance motor and other induction motors. As a world leader, we have obvious advantages in stator and rotor core assembly, slot insulation, auto winding, auto inserting, auto fusing, auto resin impregnation and other motor production technology for different sizes and slot shape of stator. Focusing on international trading, we have placed our priority on both product quality and service, which are the key elements that make your brand more competitive in the global market. If you are looking for machines, components, or OEM products, SMT motor Equipment will be your most reliable partner. We are ready to establish a long business relationship with your esteemed company as a supplier, a partner and a friend. We warmly welcome you from worldwide. Multi communication methods and full time customer service personnel dispel customer’s after-sale scruples 24 hours. With good service, professional team and reliable quality, SMT provide customer with different kinds of AC motor, DC motor,BLDC motor manufacturing technical consulting service and Turn-key projecting service, including the motor cost evaluation, manufacturing know-how, staff training,and complete turn-key project. Suzhou Smart motor Equipment Manufacturing Co.,Ltd is one of the high-tech key enterprises which specialize in designing, producing and selling motor manufacturing equipments in China. The company now has nearly 150 employees, including more than 30 engineers and technicians, with the building area about 20,000 square meters and a hundred sets of advanced production and test equipments. It is now qualified for designing and manufacturing full production line (starts from coil winding to final forming of a stator) for AC motors such as home appliance motor, industrial medium and small motors, pump motor, rolling door motor and automobile motor etc. In 2012, SMT passed the certification of ISO9001:2000 Quality Management System. More wonderful videos and pictures can be found by below links. We're waiting for you there! China Good Quality Stator Winding Machine Supplier. Copyright © 2016 - 2019 motorwindingmachines.com. All Rights Reserved.